MMT had a dreadful trip to his friendly neighbourhood bike shop, Good Bikes’ last week. MMT’s venerable Wilier was making a few awful noises from the vicinity of the bottom bracket. May be it needed replacing as it had been ridden on for nearly six years. Similarly the left pedal was behaving very weirdly under power. All in all, it seemed high time for a service. So MMT rode his Wilier to work and dropped the bike off. A few minutes of explanation ensured. The mechanic, Nathan, was advised to ring me if the price of repairs was exceeding $300. Nathan called MMT a few hours later and his news left MMT aghast. Apparently the rear rim was showing signs of cracking and needed replacing…..crap….Keep in mind that these were the $800 Campagnolo Zondas, bought just over 2 and half years ago. Fortunately, MMT had kept the original Fulcrum rims. MMT had spent a frustrating Saturday afternoon, a few weeks ago, fitting spoke reflectors and had intended to use these as his winter wheels. So the Wilier stayed at the shop, until the old rims were retrieved and fitted. Nathan showed MMT the cracks and MMT was horrified at what he saw. MMT reckons he’s done about 15,000km on these rims and can’t believe how these stress fractures have occurred. For starters, they are all on non-cassette side of the rim. One of them has cracked clean through, with clear daylight visible. MMT can only shudder at the thought of what may have happened had the spokes given way entirely. 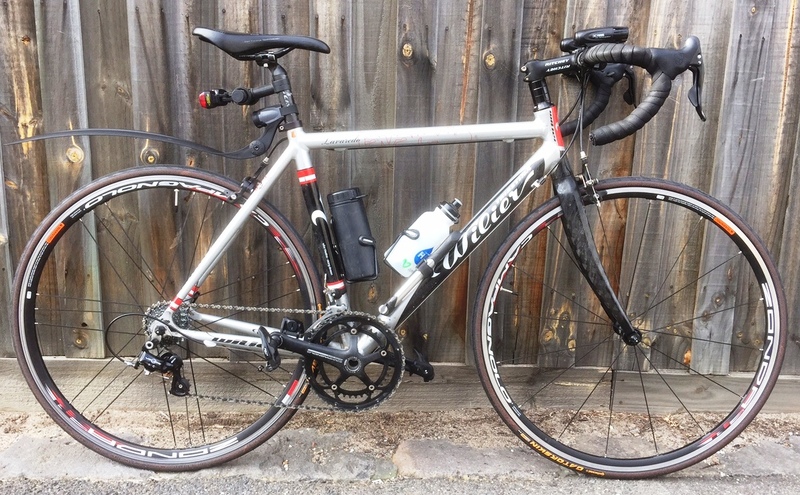 This entry was posted in Commuting, Maintenance, Product Review and tagged Campagnolo, cracked, equipment, maintenance, rims, WTF on May 7, 2018 by Marv. Cranksets and Cassettes…its a ratio thing. I’ve been obsessing over gear ratios, drive trains and hill climbing. As a 102 Kg Clydesdale, doing sportives this year, these things matter. I’m riding the 60Km version of the Ballarat Classic in February and that course contains some serious gradient. Certainly more than I’m used on my local Beach Road ride. So I started out looking at triple chain ring. Straight away, I encountered two significant snags. First, Campagnolo phased triple chain rings on their lower end groupsets, hence I wouldn’t be able to source a Veloce component. Second, even if I had sourced an older Veloce triple, it would have meant changing over the front and rear derailleurs as well. Essentially, that’s 3 out of 4 bits of drive train. Given its Campag, that would be a costly trip to a bike shop. Instead, I read a few blogs and landed on fitting a compact chain ring with a smaller 50/34t ratio and higher ratio 13-29t cassette. Originally, I had 11-23t which I upgraded as part of Zonda rim package to 11-25t. For everything I’ve done thus far 11-23/25t has fine. I tend to do most of riding on the outer ring anyway. The theory being I should be able to keep my cadence fairly high and not have to stand on the pedals to exert brute force. So I’m swapping out the 11-25mm for the 13-29mm. The compact chain ring is an interesting beast. Depending on what online cycling magazines Its being described as the ‘killer’ of the tripleset chain ring. Mainly because of its ability to provide similar ratios to the tripleset, whilst enabling manufacturers to avoiding extra tooling and production costs. Most likely, this is why Campagnolo doesn’t offer triples on the cheaper groupsets. 50-34 – Compact -> the one I’ve decided on. 53-39t has been the standard chain ring for some time now. It’s used in races that are mainly flat and in timetrials, where the more powerful riders are using a 53 to 11 ratio to achieve maximum speed. 50-34t Compact crankset has been around since 2002 and has been used by the Pros to travel through mountain stages. The primary idea being that a smaller front chain ring allows a higher cadence which should reduce muscle fatigue. It also allows less powerful riders access to lower ration gears without ‘crossing’ the chain. Crossing the chain creates more friction and increases wear and tear on the drive train. 52-36t Semi-compact is the new kid on the block. Its reason d’etre is that it provides the best of both worlds means a 52-tooth chainring for attacking descents and sprints, while maintaining a smooth chain line from the big ring when riding on flat roads, and a 36-tooth inner ring which, of course, offers a lower gear for climbing than a 39-tooth ring. 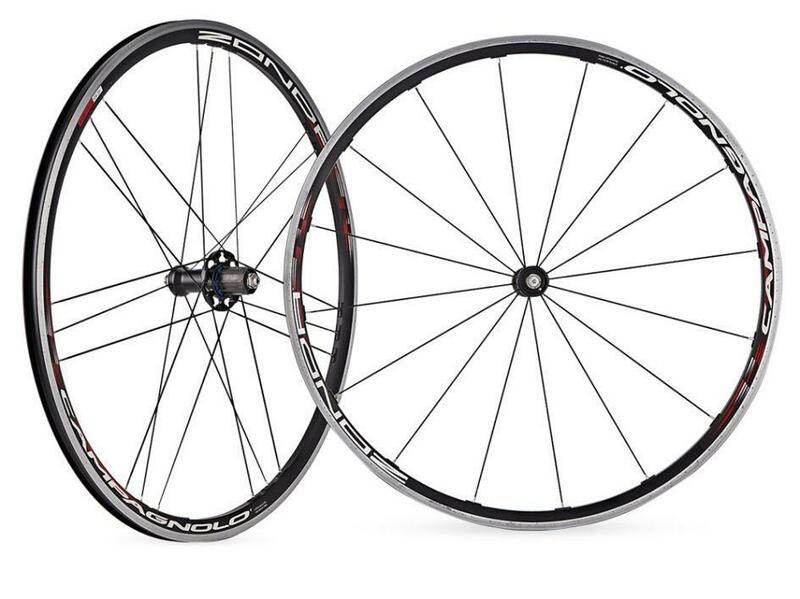 My decision on which crankset was made easier…again…sigh…by Campagnolo not having Veloce 52-36 crankset. So I’m swapping this 53-39 for this 50-34. So circling back to where I started, in about 2 weeks I’ll find out how all of this tinkering in my drive train worked. The Cadel Evans Peoples ride is fairly flat with the exception of a couple nasty little hills on the back end of the course. Hopefully this will all ‘gel’ together and provide a really efficient ‘gearbox’ for my 46 year old legs. This entry was posted in Equipment and tagged Campagnolo, cassette, climbing, crankset, equipment, gear ratios on January 14, 2016 by Marv.